And, why you need to eat them daily? Food as we know it could just not be the same without allium vegetables, even if many of us have no idea what those actually are. Translated from Greek allium means “garlic,” however the allium branch of vegetables also includes onions, shallots, chives, and leeks. These vegetables would be more aptly named flavor vegetables, because their addition adds not only nutrition but also a flavor, as I said, food would just not be the same without. All allium plants are of the lily family and grow from bulbs. Garlic has a scent most everyone can identify and is the most pungent of the allium vegetables. It has what many people consider an acquired taste when not cooked in to sauces. It is also well known to cause bad breathe. 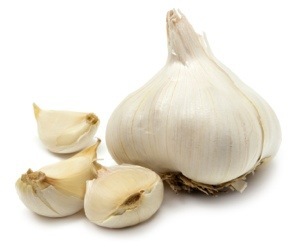 However, bad breathe aside garlic has a wealth of health benefits. It has been proven to prevent cancer and heart disease, most notably by clearing the vascular walls. Garlic will help prevent the common cold and ease its symptoms, is a powerful antioxidant, acts as an antibiotic, and was even used in World War II to prevent gangrene. Onion is by far the most commonly used allium vegetable, and it’s no wonder being one of the oldest vegetables in existence. 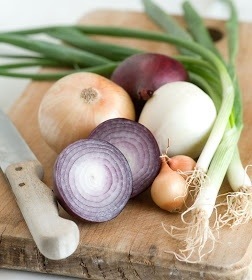 Onions are very high in vitamin C, and are a fabulous antiseptic and anti-inflammatory. They are suggested to prevent cancer, as well as boost bone, cardiovascular, and gastrointestinal health. They also lower blood sugar. Most importantly they add an important flavor to almost any dish. A shallot is very similar to an onion and has all the same health benefits. 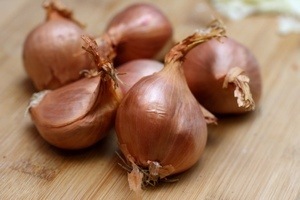 However, a shallot has a far less pungent taste and grows much like garlic in cloves rather than one single bulb. Shallots, on top of the many benefits of onions, can also be used to cure toothaches by cutting and warming the vegetable and placing it on the affect tooth. Chives resemble grass and are in fact related to grass. They have a slight onion flavor and make great toppers or garnishes. Chives like onions and shallots pose basically the same health benefits. 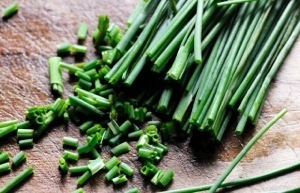 Chives are the mildest of the three and will not cause bad breath as onions and garlic often will. These two are very similar to one another and like all the other allium vegetables we’ve mentioned have the same health benefits. (Seeing a theme?) 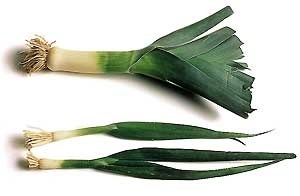 A green onion is actually just an immature onion, while a leek is a relative of garlic and onion. It is known for being slightly sweeter. By looking at this small portion of allium vegetables, we derive that they have outstanding health benefits, are a versatile food element, and add incredible flavor and sometimes color. I don’t really care what they are, I just know they taste great! Read these studies to learn how important they are to incorporate in our daily diet. Consumption of large amounts of Allium vegetables reduces risk for gastric cancer in a meta-analysis. Great job on having one of the most superior blogs I have arrive around in some time! Its just incredible exactly how very much it is possible to take away via anything simply because of how creatively beautiful it is. Youve placed with each other a fantastic weblog area -great graphics, movies, layout. This is absolutely the must-see weblog!